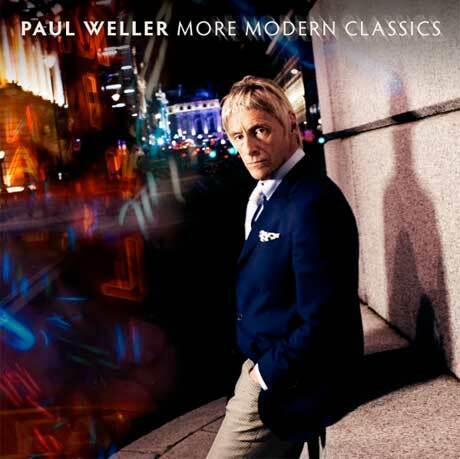 After issuing a steady string of solo albums these last 15 years, prolific English pop rock figure Paul Weller is now set to collect the best songs of the bunch for a new compilation called More Modern Classics. The greatest-hits package is due to drop June 3 via Harvest. A sister set to Weller's 1998 best of collection Modern Classics, More Modern Classics picks up where the former left off, selecting cuts issued between 2000's Heliocentric up to 2012's Sonik Kicks. While including a number of favourites, from As Is Now's "From the Floorboards Up" to cuts from his acclaimed 22 Dreams like "All I Wanna Do (Is Be With You)," "22 Dreams," "Have You Made Up Your Mind" and "Push It Along," there's also some newer material to digest. The recent "Brand New Toy" single, issued earlier this month for a Record Store Day release, is also included on the set. You can sample the selection down below in a new music video, which features the songwriter hanging out inside a kaleidoscope.